We all know those people who are what I term �cultural chameleons�, they adjust to pretty much any new cultural environment quickly and with ease. Whether they are traveling in a work or leisure capacity, or even if they are in their home environment mixing with people from diverse cultural backgrounds, they know how to communicate at a level that is appropriate to the cultural situation. They possess a genuine interest in learning the cultural nuances and protocols and it all seems to be achieved with a degree of effortlessness. So why do some people do this well and others find it awkward and arduous? Where do we get the drive to be culturally intelligent? I recently did some work with a CEO of a global corporation. 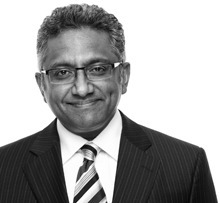 His organisation runs operations in 14 countries located in Europe, the Middle East and parts of Asia. One of his challenges was distinguishing between what are the necessary and unnecessary cultural skills that he needs to apply in order to successfully do his job. The intensity and demands of someone in his position meant that he needed to achieve this balance almost intuitively. He shared with me the crucial moment when he realised that he needed to improve his cultural intelligence. He was at a train station in Bangkok during what was his first visit to Thailand. As he was rushing to catch a train at peak hour he was shocked and confused to see all movement at the station cease the moment music began to play over the loud speaker. Although he had no comprehension of why this was happening, his reaction was to also stop as he observed his fellow commuters stopping in their tracks. Once the music was finished activity at the station instantly resumed to its previous chaotic level. After observing this situation it instantly became apparent how little he understood the Thai people and their culture, and this event triggered a desire in him to increase his knowledge. He realised that if he wanted to get things done in this country he needed to understand the Thai psyche. He correctly surmised the music was the national anthem but at that point he had no idea of the level of respect that the typical Thai has for his country and king. Cultural intelligence can be learned. For some people it will be moments like these that trigger the drive to improve cultural knowledge and understanding. A key driver can be purely appreciating that if we want to get things done in the most effective and efficient manner an appropriate level of cultural intelligence is essential. For people who are time poor one of the fastest ways of achieving this is via Cultural Coaching and Mentoring. What is Your Cultural Driver? 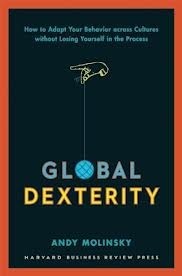 Global Dexterity is a quick read that I recommend if you are looking for some skills on how to be adaptive in different cultural settings, whilst still maintaining a healthy balance of your own style. This book appealed to me because one of the areas of feedback that I sometimes receive is just that; people don't feel as though they are 'being true to themselves' when they are modifying their behaviours to fit the cultural setting that they often find themselves working, living or traveling in. Learning to be globally dexterous doesn�t come naturally to everyone. Molinsky offers antidotes, stories, tools and frameworks for functioning effectively in culturally diverse environments. Some of the contexts include; giving negative feedback, disclosing personal information when making small talk and speaking your mind at a meeting in different cultural settings. He acknowledges that the ability to recognise cultural differences and some culture specific knowledge doesn't automatically translate to knowing how to put this into practice.